After a couple of different runs of trial and error, I have realized the mechanical eyes will not work with Lazak’Tar due to him being made from splash latex. It’s too stiff, and I will need like a fiberglass or resin under skull to house the mechanic and make it all look realistic in the end. 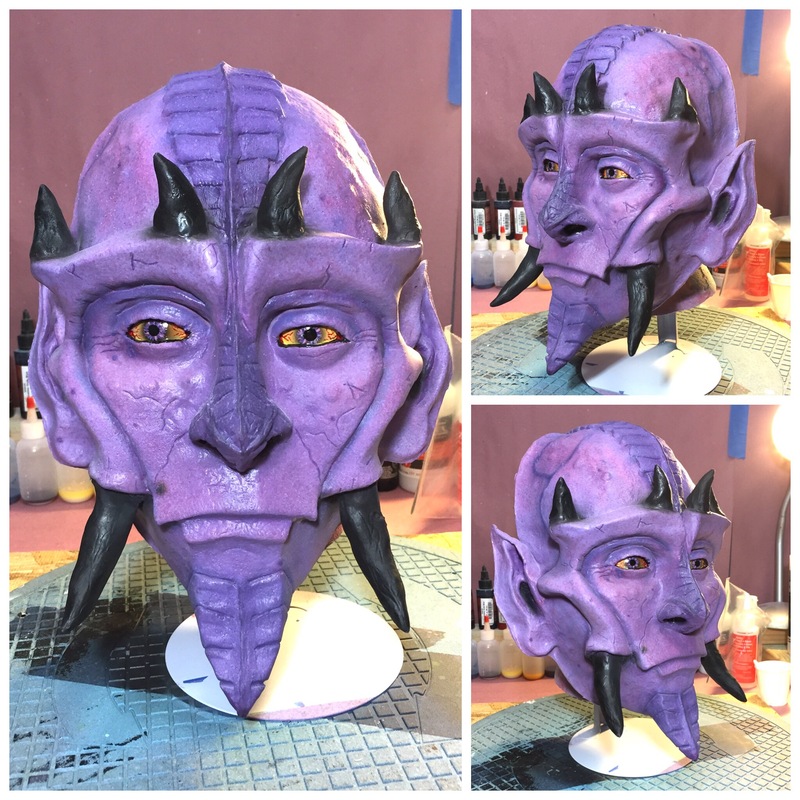 I will need to sculpt another mask and run it in foam latex or silicone. Challenge accepted! Anyway, I still came away with a newly painted version of Lazak’Tar that I actually like better.